DID YOU RIDE AS A CHILD AND NOW WANT TO GET BACK IN THE SADDLE....? HAVE YOU ALWAYS WANTED TO GIVE HORSE RIDING A GO AND DIDNT KNOW WHERE TO START...? IS JUMPING A COURSE OF JUMPS ON YOUR 'BUCKET LIST'......? WOULD YOU LIKE TO SEE HOW IT FEELS LIKE TO BE 'CHARLOTTE' AND RIDE A DRESSAGE TEST...? 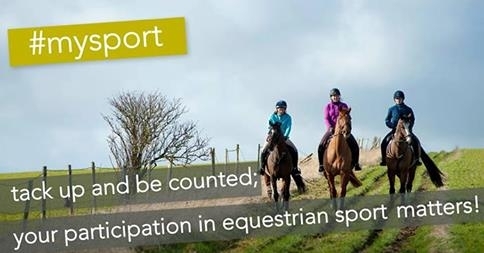 COME AND JOIN THE NATIONAL HOOF CAMPAIGN AT WRS, WITH GREAT INSTRUCTORS AND KIND SAFE HORSES, YOU CAN BE ASSURED YOU WILL BE SOURING OVER THE HEIGHTS OF THE JUMPS IN NO TIME....OR COMPETING 10MTR CIRCLES AT THE VERY LEAST! WITH TIME FOR A COFFEE AND CHAT AFTERWARDS, AND AN OPPORTUNITY TO UNTACK AND BRUSH THE HORSES, ITS AN IDEAL OPPORTUNITY TO GET UP CLOSE AND PERSONAL WITH THE HORSES.